On December 20, 2017, District Council 6/Local Union 181 (Cleveland, Ohio) held its Christmas meeting at the District Council 6 offices in Strongsville, Ohio. During the meeting, several prizes were given to members of Local 181. 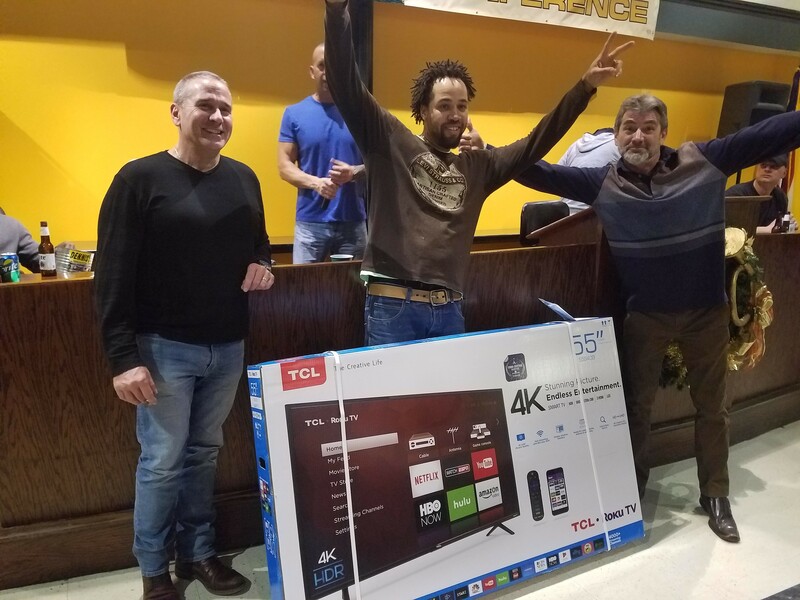 Pharaoh Hill (LU 181) won the grand prize, a TCL 55” flat-screen TV. Overall, the members of Local Union 181 were happy with their prizes. ): LU 181 member Pharaoh Hill (center) won the grand prize at LU 181’s Christmas meeting. He is pictured here with DC 6 Business Manager Jim Sherwood (left) and LU 181 member D.J. Treanor (right).